COMMERCIAL POINT – Commerical Point’s Scioto Township has been operating without a Fire Chief for around seven months. 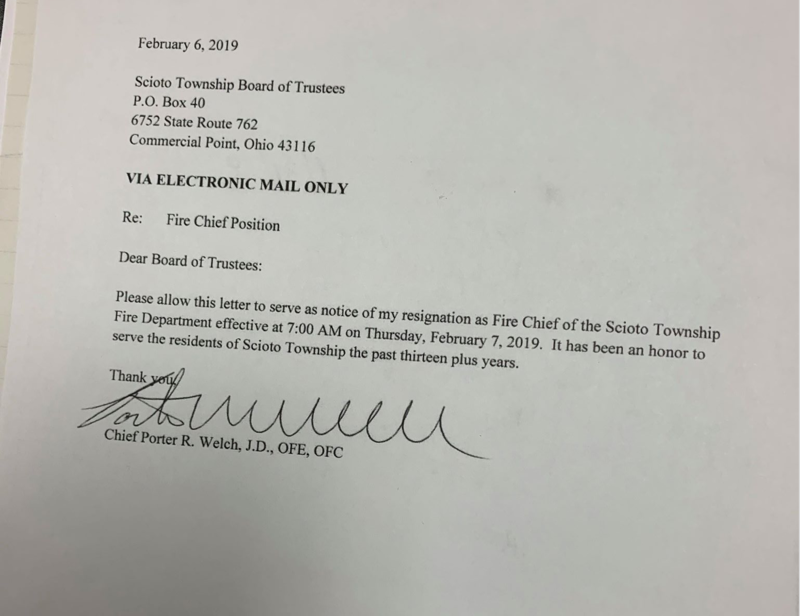 Scioto Township Trustees terminated Porter “Chip” Welch effective immediately on August 16, 2018, at the public meeting for failure to submit a balanced budget, failure to properly investigate potential misconduct within the fire department, failure to advise trustees of infractions and pending disciplinary actions of appointed firefighters, and failure to let trustees know about meetings and trainings. On August 27, 2018, Welsh Legal Services LLC filed a civil lawsuit against Scioto Township asking for a praecipe and filing for a appeal on the termination. According to Ohio revised code 733.37, Ohio Revised code 733.35, and Revised code 505.38 the law may not have been exactly followed under these codes. Whereas a chief of a township needs to be suspended and a hearing with reasons needs to held before termination. On January 04, 2019 Commercial Point Trustees reinstated Welsh and them immediately suspended him suspended him pending hearing on January 15. Trustees expanded on the reasons for the suspension in the meeting. As fire Chief Chip Porter Welch acted in misfeasance, malfeasance, nonfeasance, misconduct in office, gross neglect of duty. falsified time sheets that did not reflect the hours he worked, ordered fire personnel to falsify fire inspections, as fire chief he failed to maintain an adequate fire prevention program, failed to conduct investigations of commercial buildings. As fire Chief mishandled and harassed a part-time firefighter resulting in the firefighter’s accusations being emailed to numbers parties including the individual she accused of harassment. 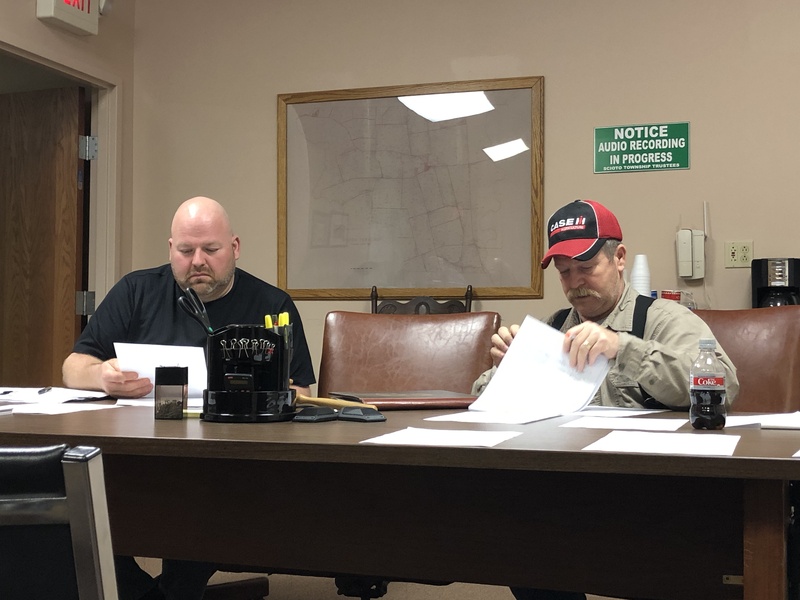 As fire chief Porter Welch failed to follow the Township Policy on sexual harassment and failed to adequately investigate a claim of sexual harassment from a Pickaway Institute correctional officer. 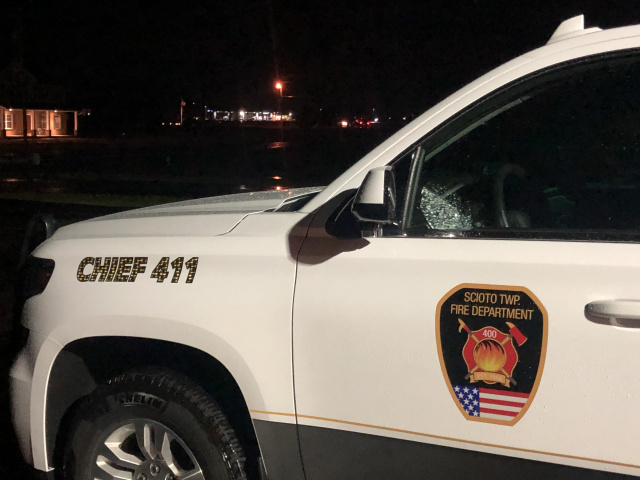 As Fire Chief Chip Welch issued improper discipline to firefighters that did not conform to the township policies to negotiate a contract between the Township and IAF local. As Fire Chief Chip Welch mismanaged department budget. As Fire Chief Chip Welch instructed a medic to determine the cause of death on a patient based on impermissible non-medical factors. As Fire Chief Chip Welch failed to attend board of trustee meetings that are required. As Fire Chief Chip Welch failed to follow directives issued from the board of trustees, and As Fire Chief Chip Welsh failed to inform the board of Trustees about a dead inmate transported at PCI that exposed the Township to liability.